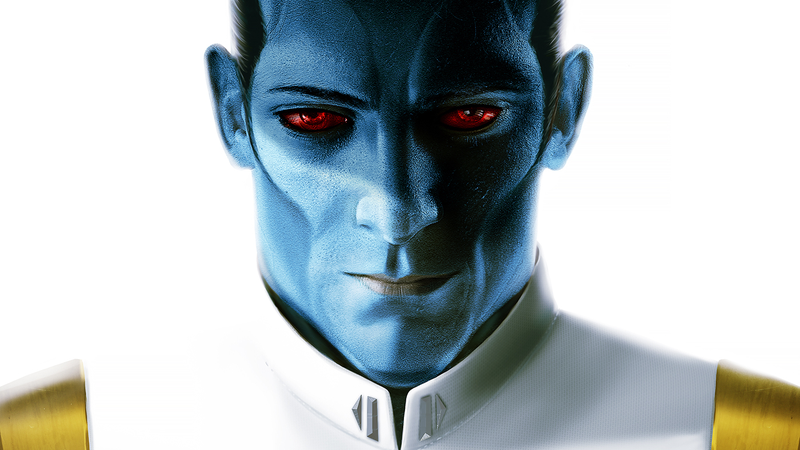 At the Lucasfilm Publishing panel at New York Comic Con, Timothy Zahn announced that the sequel to his bestselling Thrawn novel will arrive next summer and will be called Thrawn: Alliances. Also, a certain Dark Lord of the Sith will be stopping by. During the panel, Zahn asked, “Once you have done Thrawn in a book, where do you go from there, how do you up the game?” The answer? Darth Vader. The answer was revealed with an image of Vader, not Anakin Skywalker, whom we know Thrawn has some history with. This makes some sense—if you’ve read Thrawn you know that Anakin met Thrawn during the Clone Wars, long before Thrawn started his ascent in the Imperial Navy. Zahn added that he turned in the book two and a half weeks ago, so this isn’t a nebulous plan, it’s a done deal. Earlier in the panel, Zahn joked that he’s either “the old dog that can learn new tricks, or the bad penny they can’t get rid of.” Based on the response of the crowd to the announcement, it’s clearly the former.